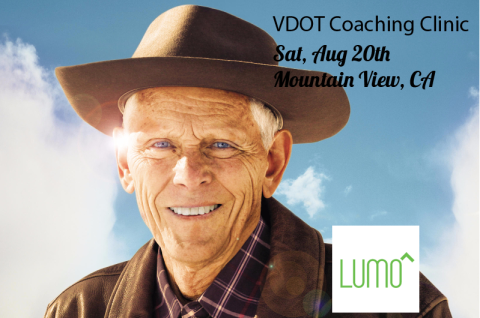 Announcing The Next VDOT O2 Coaching Clinic & Certification | Run S.M.A.R.T. We’re excited to announce the details of our next VDOT Clinic. Coaches of all levels and athletes interested in the science of our sport are all welcome. We hope you can join us this summer in beautiful northern California! Featured Guest Speaker: Nike athlete and former NCAA 10k record-holder Alicia Shay. Alicia will be sharing her athletic journey an how that has shaped her coaching career. Sponsor: Lumo Bodytech – Founded in 2011, Lumo Bodytech has developed a technology platform that leverages smart sensors and software to optimize performance and address human biomechanics through real-time tracking of body movement. Current products include the Lumo Lift and Lumo Back posture coaches and activity trackers, as well as Lumo Run, a sensor technology that measures and coaches you on running form.